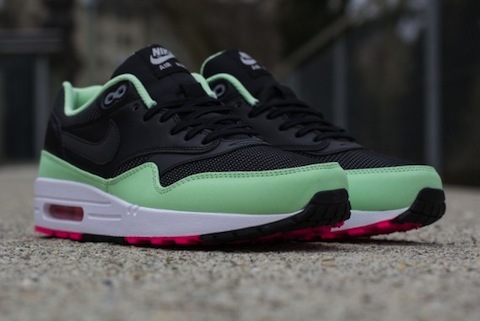 Feeture – Is the Nike Air Max 1 being Maxed? Is Nike overcooking the AM? 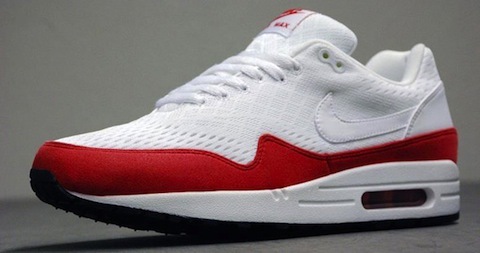 In 1987 Nike released the Air Max 1, arguably the most innovative running shoe of its time. Inside the Air Max 1 was what Nike were describing as the best ever cushioning, the Nike Air System that was first implemented into the Nike Air Tailwind in 1979. 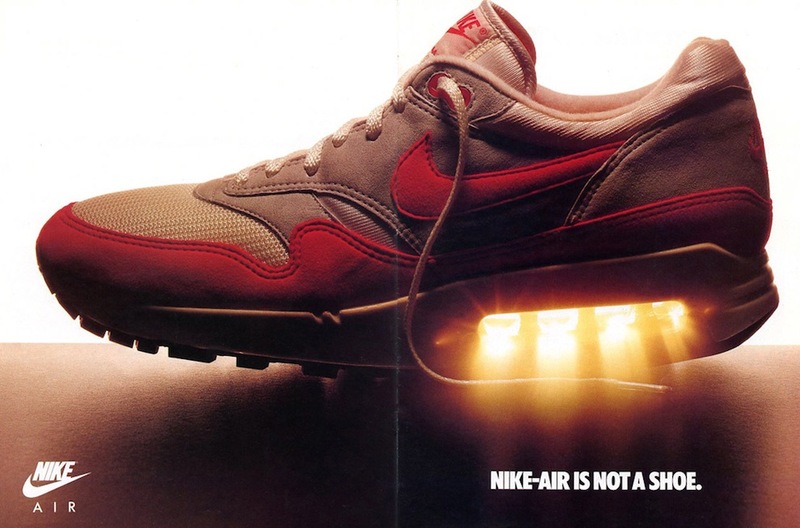 But with the Air Max 1 the Nike Air system went visible introducing the first ever Nike Air Window and what Nike advertising described as not being a shoe, but a revolution. 26 years since runners were able to see the air that they were running on and everywhere you look around town you’ll see folks wearing the original Nike visible Air sneaker. 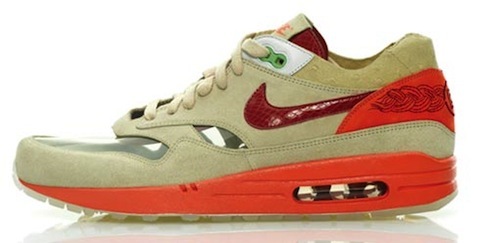 The original Air Max 1 could not be more popular than it is right here in 2013. But are we seeing too much of it? 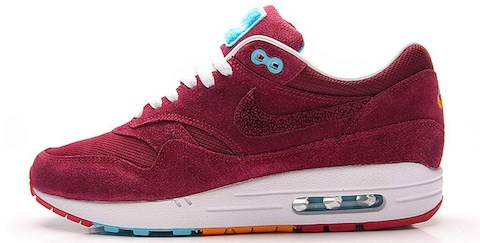 Is the flood of AM1s onto the market just a little bit too much? I was recently in Size? on Carnaby Street and tried on a pair of Ones, the ones they’re calling the “Yeezy” colourway. They looked real nice and Nike got it right with the colours, the materials weren’t bad and yes this pair in this colourway are sold out everywhere and yet I just wasn’t that excited about them and in the end told the shop assistant that it was ok I would not be taking them. I instead copped another classic the Nike Air Max BWs in the OG Persian colourway. From the feet of sneaker purists, to trashed pairs on the feet of Shoreditch hipsters, worn with skinny jeans and side partings, to public school parents with laces tied super tight doing the school run and South London rude girls and rude boys the Air Max 1 definitely has that mass appeal, but it could be argued that with so many models out there and what seems like a different colourway being released at least once a week if not with more frequency, that the AM1 might have lost is its very special specialness. Nike know it’s the sneaker of the moment and that it’s selling and selling real well so they hit us with colourway after colourway knowing that it’s mass appeal will make sure that different people across the spectrum of those that are into the shoe will pick them up. In business terms I am sure it is a solid moneymaker for the brand globally, a real banker of a shoe. And each style usually sells and often sells out. Size? currently has over 15 styles on sale, Offspring close to 20, JD Sports more than 20 and Nike direct (GB) more than 20 including all the Nike ID options. From the Air Max essentials to the premium pairs to the quickstrike ones not to mention the high tech variations; the Hyperfuse, Engineered Mesh, the Women’s’ Air Max Thea and a Vac Tech pair that’s coming out soon. It seems almost as though they’ve maxed the original of all maxes. 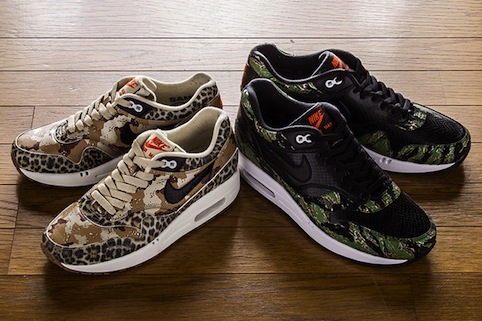 Often it feels like the AM1 has become a thing of the high street so easy to come by in so many styles and colours. And when you see ‘em around town trashed and beaten to death it makes you think they’re a shoe that’s somewhat of a sneaker throwaway. Less special. And when Nike do do something well, sometimes they then do it again, but not so well. I was real excited about the first collab with Liberty of London and desperately broke out of work to get down to Regent St and cop a pair. I thought it was such a good move to take the renowned Liberty prints and put them onto a pair of Ones. And then Nike and Liberty did it again and again and again and then offered Liberty Nike ID options and completely killed what was such a great concept, completely killed what was special so much so that the town is awash with floral patterned AM1s. Even in the past Nike only had the AM1 up on Nike ID for limited periods and so if you missed making up your own pair you had to wait around for the next time they became ID-able, but now they seem to be a permanent Nike ID fixture. Again that hard-to-get aspect making them somewhat more special, and much more desirable. I’m not even sure if the exclusive sneaker collaboration crews are even interested in working up collabs on the Ones, the last, most amazing effort being from the crew at Patta in 2010. Instead we see the exclusive sneaker spots such as Hanon, Footpatrol, Sneaker Freaker opting to work up exclusive, limited edition collabs with the likes of Saucony, Fila and Le Coq Sportif. But despite all of the above please don’t get the wrong idea the Nike Air Max 1 is still my favourite Nike shoe and I own a bunch of pairs from back in the days retros, some newer general release pairs and some precious super hard to get and Tier Zero pairs. I am just raising the point that maybe when we saturate a market with a certain model, just like any product or commodity, maybe that product or commodity doesn’t always lose it’s worth in monetary terms but maybe it loses some of its magic. 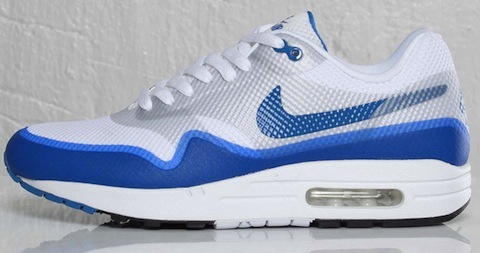 And that’s what I hope this flood of AM1s does not do is wash away the magic of the first ever Nike visible air shoe. This shoe was revolutionary just like the ad said, a true innovation something extraordinary, and as stated numerous times in this article, special. Let’s hope we can keep it that way. And through this the first of some longer features here at The Word on the Feet I guess I’m sharing thoughts about this shoe scene that we’re a part of and so if this article has made you think too, or you’ve already thought about this hit me up and share your thoughts too. To end this piece I’m leaving you with a great video that pays homage to the Nike Air Max 1, courtesy of Axel Morin, Julien Reynaud, and Favien Berry. This should help you gather your thoughts as too whether there is too much Max 1 on the market. Or maybe you think there isn’t enough?